UBC Recreation is always looking for great people to join its team of staff and volunteers. We rely on both paid staff and volunteers to operate every aspect of our programs. UBC Recreation hires for the following paid job opportunities at various times throughout the year. Find out more about about the various positions and how you can join our team! Search for ‘UBC – Athletics and Recreation‘ on Careers Online to view available jobs. 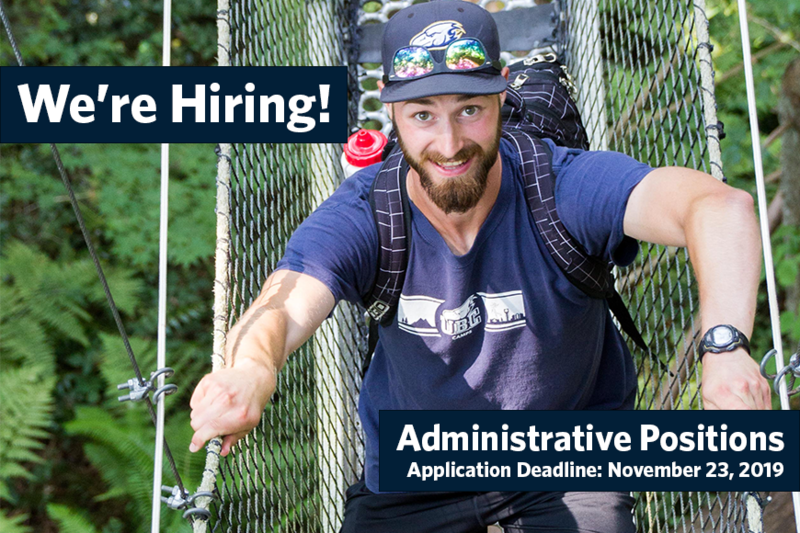 We are currently accepting applications for Operation Staff at the UBC Tennis Centre and the UBC Baseball Rose Indoor Training Centre for 2019 Summer and 2019/20 Fall/Winter. We are still on the hunt for some Aquatics / Swim Camp Instructors and Aquatics / Swim Camp Supervisors for spring break camps. Make a little extra money over spring break (Monday, March 18 – Friday, March 22 and Monday, March 25 – Thursday, March 29, 2018). Gain some valuable leadership experience and build your resume! Competitive pay and flexible hours. Make a difference, make a positive impact in a camper’s life and have fun! Camps run between 9am and 4pm for a 7 hour day. This position requires leaders to be in the water directly supervising and engaging campers. Please review the job postings and follow the application instructions in the documents. UBC Recreation and its sports facilities are looking for talented and motivated students to join its team of paid, operations, instructor, and administrative staff beginning this summer. Read about the different opportunities here or search for ‘UBC – Athletics and Recreation’ on Careers Online to view available jobs. UBC Recreation is looking for fun and engaging Spin/Cycle Class Instructors for Term 2! Responsible for leading and instructing groups through programmed sessions and providing a high level of service delivery, instructors will nurture a sense of community amongst participants and ultimately help people move more! Candidates with strong relationship building skills and a sound knowledge of fitness theory are encouraged to apply. If you’re looking for a fun and dynamic role that focuses on helping others feel their best and live well, then look no further! Apply before December 27, 2018 on UBC Careers Online. The Intramurals team is hiring student volunteers for Term 2! There are positions available in all departments including events, leagues, and marketing. Join a community of over 100 other students from all faculties. Job descriptions are available on the Employment page. Simply click the accordion titled “Volunteer Positions – Intramurals” for more information. Interested in gaining work experience in sports administration while working with a diverse range of people? UBC Camps is a leading provider of high quality camps for children aged 3-18 years. UBC Camps offers a vast selection of spring, summer, fall and winter camps, including adventure, art and music, enrichment, sport and recreation, specialty camps, day camps, and more. In addition to extensive summer camp programming, winter break camps, spring break camps, pro-d day camps, and other year-round programming is offered for the local Vancouver community. Responsible for day-to-day operations of UBC Camps Overnight Programming including planning, implementation, and evaluation of the Future Global Leaders non-classroom activities. Responsible for customer service, registration assistance, and communicating with parents, campers, staff, and administrative members to ensure efficient operations. Duration of Position: January 28 – August 30, 2019. Applications must be submitted by Friday November 23, 2018 at 4:00 pm. Make an impact on the newest competitive program in UBC Recreation – UBC Thunderbirds Sport Clubs. Supporting over 275 student athletes in 11 sports, the Assistant Coordinator will work collaboratively within a team overseen by the Sport Clubs Coordinator. Sport Clubs are student-led groups that aim to represent the university in non-varsity sports such as Alpine Skiing, Lacrosse, Sailing, Tennis, Ultimate and much more! Experience within a program area that operates like a start up organization – everyone wears many hats! Interested? View the job description and apply at UBC Careers Online before August 15, 2018.